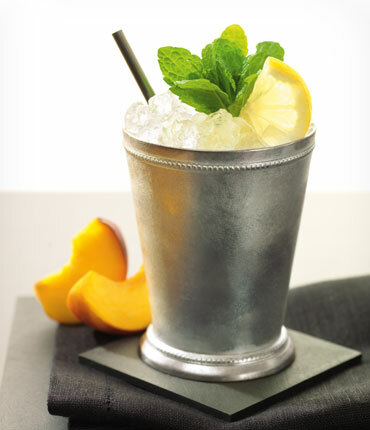 This weeks cocktail of the week is a citrus vodka take on the southern classic, the Mint Julep. It’s one of my favorite takes on the Julep and is fairly easy to make. Try it and maybe it’ll be on your menu come derby time this season. Add mint leaves to a julep mug and bruise with the back of a spoon. Build and serve over crushed ice. Garnish with mint and peach or lemon slices.